Hello cabin crew wannabe! Malaysia Airlines is hiring now. Today I am going to share with you about the interview I attended on 22 October at Malaysia Airlines Academy. Registration starts at 9am. However, please be there early to avoid the long queue. I was there at 8am sharp and my number was already 150. For those who came after 9am, the numbers were 400++. When I arrived at the main entrance of Malaysia Airlines Academy, there was a friendly staff who welcomed us at the entrance. Remember to get a registration form prior to entering the cafeteria which is also a place for you to wait for your number to be called in for documents checked, height and weight measurement. Your queue number is written on the upper right hand corner of the registration form. I waited for an hour until my number was called for height and weight measurement. If you pass this round, you will then proceed to document verification. Then, you will be asked to proceed to a room and there will be two instructors who will brief you about the interview process. You will sign a consent form as there will be a grooming check if you pass the second round interview later. After you sign the consent form, you will be asked to wait in the auditorium for the next stage. Before the interview begin, you will have to introduce yourself. Then they will throw you some questions randomly. 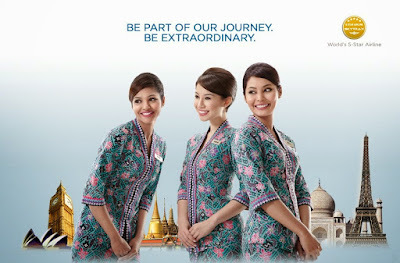 - Why do you want to become a cabin crew and why Malaysia Airlines? - Can you tell the difference between attitude and service? Usually there will be 3 to 4 candidates who will proceed to the next round. At this round, the facilitator will do a thorough skin check on your face. They will also look out for any obvious scars and tattoo on your face, neck, arms and legs. You will be asked to do a simple catwalk too. 5 or 6 people per session. However, one girl in our group was eliminated due to a tattoo on her wrist. So if you have obvious tattoo, please remove it before you come. At this round, there’s only 4 of us so we were divided into 2 groups. We were given a scenario-based question to test your ability to react appropriately. The airline will get an idea of how you handle tricky situations while under pressure. Our group got the question : What will you do if a passenger wants to breastfeed on board? After discussion, we were asked to answer why we want to be a cabin crew and why we choose Malaysia Airlines instead of other airlines. After the interview, we were asked to go back to auditorium to wait for the result. After half an hour, 3 out of 4 of us were called and the staff announced that our applications were successful. Applicants who made it through were asked to fix an appointment to undergo the medical checkup. It is usually three days after the interview. Then, we were asked to attend the bonding briefing. We were then given two copies of training bonding agreement. After the bonding briefing, it was 2.20pm already. During the medical checkup, a blood test, blood pressure test, eye test, urine test, x-ray and body checkup will be done. For the eye test, the nurse will ask you if you wear contact lens. You’re allowed to wear contact lens for the eye test. After the x-ray test, we were asked to do a hearing test. Just press the button whenever you hear a beep to indicate the sound that you can hear across varying frequencies. Lastly, basic body check was done. The doctor then asked some general health questions and performed a check on my ears, mouth and full body check. You’ll know the medical result on the spot too. After one week, I received an email from the HR department stating my reporting date.